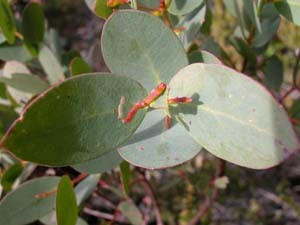 Eucalyptus coccifera (Tasmanian Snow Gum) is the most abundant high altitude species in Tasmania, forming the tree line in many areas. 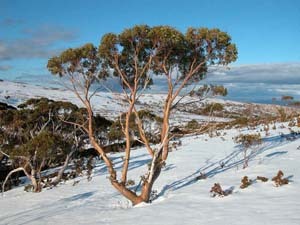 It ranges from a large shrub to a tall tree at lower altitudes. 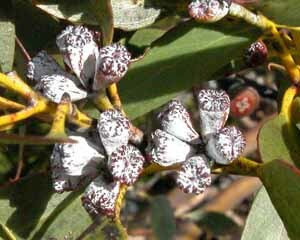 It is a peppermint species (along with E. risdonii, E. amygdalina, E. nitida, E. radiata, E. tenuiramis and E. pulchella). 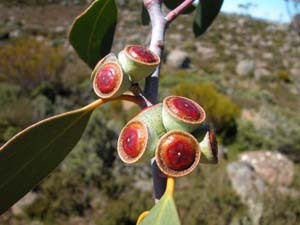 It has smooth bark except at the very base of the trunk and can be confused with E. nitida and E. tenuiramis but has larger fruit than all the other members of this group. 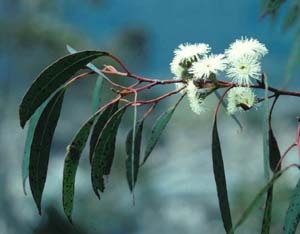 Eucalyptus pauciflora is the mainland snowgum, but does not reach the treeline in Tasmania.